In a recent study entitled “Myeloid cells as target of fingolimod action in multiple sclerosis,” a team of scientists investigated the impact of fingolimod (Gilenya, Novartis), an approved drug for multiple sclerosis (MS), on the reactivity of myeloid cells, a key group that comprises several immune cells that are activated in MS patients and the underlying cause of the disease. The study was published in the journal Neurology. MS is an autoimmune disease that affects the central nervous system and afflicts more than 2.3 million people in the world. Currently without a cure, the disease is characterized by the destruction of the myelin layer within nerve cells. This leads to a wide range of neurological symptoms affecting visual, motor, and sensory capabilities. Fingolimod is one of the few treatments for MS and is an analogue of a cellular key protein called sphingosine. When added to cells, fingolimod binds sphingosine-1-phosphate (S1P) receptors and promote their degradation. Since S1P receptors are important for immune cells’ trafficking to the central nervous system, fingolimod reduces this trafficking and is thus associated with reducing MS-disease relapse and disability progression. Researchers investigated how fingolimod influences the activation of myeloid cells from the periphery to the central nervous system. 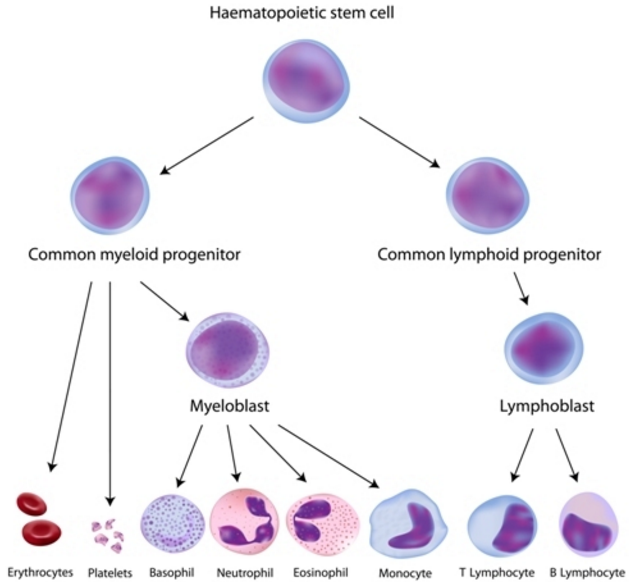 (Myeloid cells originate in the bone marrow or spinal cord and include several key cells in our immune system, such as monocytes, macrophages, neutrophils, basophils, eosinophils, erythrocytes, dendritic cells, and megakaryocytes or platelets.) The team analyzed how fingolimod interfered with the activation of immune cells in vitro and later performed further studies where administration of fingolimod during experimental autoimmune encephalomyelitis (a disease model of human MS) was used to assess its effects on the activation of splenic, central nervous system infiltrating, and central nervous system resident myeloid cells. Researchers found that in vitro exposure of human monocytes to fingolimod significantly inhibited the reactivity of the monocytes, and that oral administration of fingolimod to experimental autoimmune encephalomyelitis mouse models impaired activation of myeloid cells in the spleen and central nervous system. The team then isolated cells from 11 fingolimod-treated patients, 7 patients with untreated MS, and 8 healthy participants and determined the activation profile of monocytes in each patient population. They observed that fingolimod-treated MS patients had lower activation of monocytes when compared with monocytes from control participants. The team highlighted that their findings show that fingolimod administration changes the reactivity profile of a wide range of myeloid cells, specifically circulating, central nervous system-infiltrating and central nervous system-resident cells in vitro, in experimental autoimmune encephalomyelitis, and in MS.